The rise in technical vocational education and training (TVET) college registrations has resulted in the Department of Higher Education and Training establishing 15 new technical colleges in some of the country’s provinces. A statement from the Presidency says the technical colleges will be established in four provinces across the country, namely the Eastern Cape, KwaZulu-Natal, Limpopo and Mpumalanga. In 2014, 344 806 students had enrolled at TVET colleges, according to the Department of Higher Education and Training. 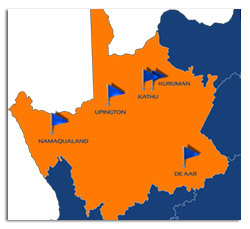 For the Eastern Cape, the colleges will be set up in Graaff-Reinet, Ingwe in Ngqungushe, Ikhala in Sterkspruit and Aliwal North. For KwaZulu-Natal, the colleges will be in Esayidi in Umzimkhulu, Umfolozi in Bhambanana, and Nkandla A and B campuses, uMgungundlovu in Greytown, uMgungundlovu in Msinga, Mthashana in Kwa Gqikazi, Mthashana in Nongoma and Mthashana in Vryheid, according to the statement. The Limpopo TVET colleges will be in Letaba in Giyani and Waterberg in Thabazimbi. Mpumalanga will also get a TVET in Balfour in Gert Sibande. TVET colleges provide education and training to students with a view towards a specific range of jobs or employment possibilities. Students may qualify for admission to a university of technology, to continue their studies at a higher level in the same field of study as they were studying at the TVET college. There are currently 50 TVET colleges across the country’s provinces.